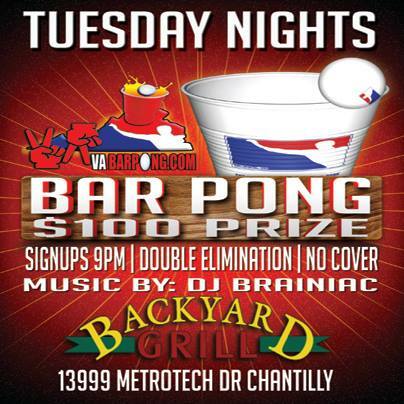 Bar Pong is every Tuesday night at Backyard Grill in Chantilly ! $100 prize. Signups at 9pm. Double elimination. No cover. Music by DJ Brainiac.